What happens if the seller wants to stay past closing? What is a post occupancy agreement form? 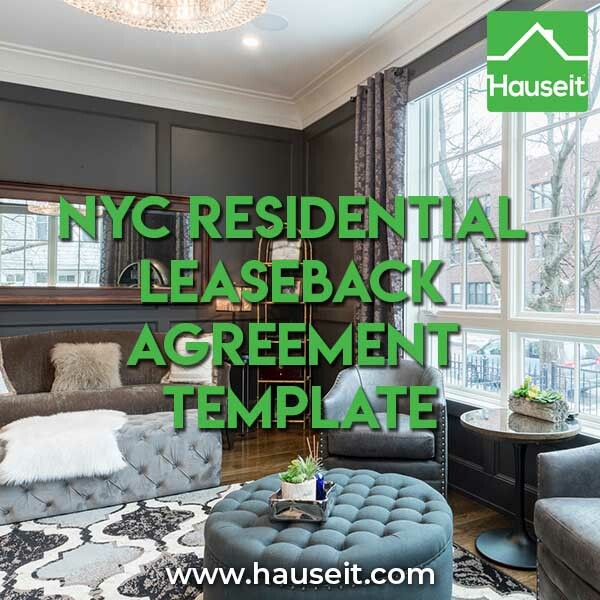 What does a NYC residential leaseback agreement template look like? Matching closing date preferences and general timing between home buyers and home sellers is a tricky process. Sometimes a seller wants to stay past closing because he or she has not found a new home to move into yet. When this is the case, the parties can either agree to delay the closing date or to a sign a residential leaseback agreement. A residential leaseback agreement allows a seller to stay past closing in the apartment even after ownership has changed. The amount of money paid by the seller to effectively rent the seller’s former home is negotiable, but is typically at least greater than or equal to the buyer’s mortgage and maintenance payments on a monthly basis. This arrangement might be favorable to either party as a faster closing provides certainty in many areas. For example, a quicker closing may allow a buyer to lock in a favorable mortgage rate instead of having to wait. AGREEMENT, made this [X] day of [Month], 2015, by and between [Seller Name], (hereinafter referred to as the “Seller”), and [Buyer Name], (hereinafter referred to as the “Purchaser”). WHEREAS, Seller is desirous of remaining in possession of the premises after the transfer the Shares and Proprietary Lease appurtenant to the Unit, (the “Closing”), that has occurred on this date pursuant to the Contract. Post Closing Possession Period. The Seller shall have the option of remaining in possession through 7:00 PM on November 31, 2015. No Landlord/Tenant Relationship. This agreement shall not be deemed to have created the relationship of Landlord and Tenant between the Seller and the Seller shall not be considered a tenant of the Property and shall pay no rent therefore, but shall be considered as former owners remaining in possession and may be treated in accordance with R.P.A.P.L Section 713(8). Holdover Fee. 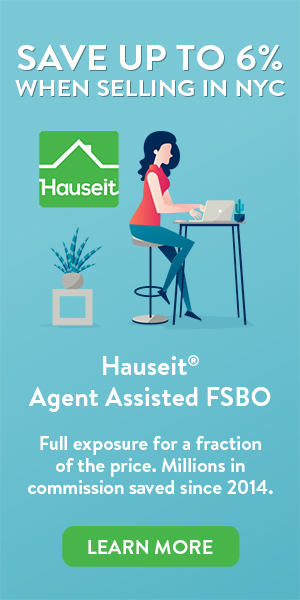 Upon closing, Sellers shall pay to or credit the Purchasers the sum of $[Number] ([Amount] Dollars) representing the Seller’s fee for the period from closing, through November 31, 2015, based on the per diem mortgage payment on Seller’s current loan and the monthly maintenance on a per diem basis. Escrowed Funds. Upon closing, the Sellers shall deposit with Sellers’ attorney the sum of $30,000.00 (Thirty Thousand Dollars), (the “Escrow Funds”), with Seller’s attorney agreeing to act as Escrow Agent, and hold the Escrow Funds in escrow, until such time as the Seller has delivered the Premises vacant and in broom clean condition with all personal property as stated in the Contract, no later than 7:00 PM, November 31, 2015, (date of possession). The escrow fund shall not be a limitation on Seller’s liability. Holdover Penalty. In the event that the Seller has not delivered the Premises vacant and in a broom clean condition by November 31, 2015 at 7:00 PM, then, and in that event, it is agreed that the Escrow Agent shall pay to the Purchaser the sum of $1,000.00 (One Thousand) Dollars per day, for each and every day that the Seller fails to deliver the Premises vacant and in a broom clean condition to the Purchasers, in addition to all fees and expenses pursuant to paragraph 3 Said payment or payments shall be made from the Escrow Funds held by the Escrow Agent but shall not be limited thereto, the Seller remaining liable for any deficiency that may thereafter occur. Utilities. Until Seller vacates the Property, Seller shall be responsible for and pay all utility charges including but not limited to gas, electricity, telephone, water, propane and/or fuel and oil use, and cable and security system charges if any. Maintenance of Premises. Seller shall maintain the Property, including the smoke alarm and carbon monoxide detectors, in the same order and condition as of the Closing Date, reasonable wear and tear Seller shall not make any alterations or changes to the appearance of the Property during the Term without the prior written consent of Buyer, including, without limitation, the redecorating or remodeling of any portion of the Property, or the removal of any included appliances and fixtures, except as otherwise provided herein. Damage/Repairs. In the event that the Premises are not delivered in accordance with the terms of the Contract, then the same shall be repaired by the Seller, at the Seller’s sole cost and expense, and upon failure to do so by the Seller, the Purchaser shall cause the necessary repairs and/or cleaning to be made and the Escrow Agent shall pay for same from the Escrow Funds upon presentment of receipted bills evidencing the cost thereof to the Purchaser, however, payment shall not be limited to the amount held in Escrow, with Seller remaining liable for any deficiency that may thereafter occur. Release of Escrow. The Escrow Agent shall not release the Escrow Funds to Seller, until such time as the Purchaser shall have had a fair opportunity to inspect the Premises, and Escrow Agent has been informed by Purchaser that the premises are in the condition as contemplated by the Contract of Sellers’ attorney, upon notice that premises are in order shall, within 48 hours, release any and all remaining escrow funds to Seller. If following the date of possession, Seller’s’ attorney is not notified of any problems relating to the condition of the premises within 3 business days, Purchaser will be deemed to have accepted the premises in their current condition, and Seller’s attorney shall release all remaining escrow funds to Seller. Insurance. Seller shall maintain and continue to have liability insurance policy for both property and personal injury (which may be in the form of a “tenant’s policy”), in full force and effect throughout the term of their post-closing possession, as tenants, or as so required by the insurance Purchaser shall be indemnified and held harmless from any liabilities or claims made upon Seller during the period of Seller’s post-closing possession. Purchaser shall be required to purchase a cooperative “homeowner’s” policy to take effect on the date of closing. Each party shall submit a copy of such policies to the other at closing upon request. Purchaser Inspection. Purchaser shall have the right to a “walk through inspection” within the 48 hours prior to Closing, as well as a second “walk through inspection” within twenty four (24) hours after Seller provides vacant and broom clean possession. Indemnification. To the fullest extent permitted by applicable law, without regard to the lapse, cancellation, failure or disclaimer of the insurance policy(ies) referred to in Section IO above, Seller shall indemnify Purchaser from and against any and all liability and shall hold Purchaser harmless from and shall pay any claims, damages, loss, cost or expense (including without limitation, reasonable legal fees and disbursements, court costs, the cost of appellate proceedings and any other reasonable costs of litigation) which Seller incurs arising out of or in connection with bodily injury or property damage occurring to any person or persons, including but not limited to Seller, members of Seller’s immediate family, guests, licensees and invitees, occurring during the Term and within or on any portion of the Property, regardless of the cause, excepting only events of injury or damage caused by the willful misconduct or negligence of Purchaser, Purchaser’s agents, contractors, employees, invitees, guests and permitees. Seller’s Default. In the event Seller does not deliver the Premises in accordance with this Agreement, Seller shall be in default of the Purchaser may, upon Seller’s default, proceed with summary eviction proceedings governed by the provisions of RPAPL Article 7, including but not limited to §713 relating to “grounds where no landlord-tenant relationship exists.” Seller specifically authorizes delivery of a copy of the Notice of Petition and Petition pursuant to RPAPL §§713 and 735 and acknowledges and agrees that such delivery shall be deemed good and sufficient service upon Seller. Seller shall pay Purchaser’s expenses (including, without limitation, reasonable attorneys’ fees, disbursements, court costs, the costs of appellate proceedings, and any other reasonable costs of litigation) should such action be necessary. Purchaser’s Access. Purchaser shall have the right to access the Unit at reasonable times, and with reasonable notice to Seller, during the post-possession period. This Agreement represents the complete agreement of the parties concerning the granting of post-closing occupancy of the Property to No oral agreements or promises will be binding. If any of the terms and provisions of the Contract conflict with any of the terms and provisions of this Agreement, the terms and conditions of this Agreement shall prevail, except that in the case of such a conflict as to the description of the Property or the identity of Buyer or Seller, the Contract shall control. If any of the terms or conditions of this Agreement are for any reason held to be invalid or unenforceable, such invalidity or unenforceability shall not affect any of the other terms or conditions of this Agreement. This Agreement shall be governed by and construed in accordance with the laws of the State of New York without regard to principles of conflicts of laws. Any and all disputes, controversies or litigation that may arise between the parties must be brought in the county where the Property is located. No waiver by Seller or Buyer of any rights of the parties hereunder shall be deemed or construed to be a waiver of such rights with respect to other or future actions of the parties. This Agreement shall inure to the benefit of the parties hereto and bind their respective heirs, successors and assigns, except as otherwise provided herein. The rights of possession hereunder are personal to Seller and Buyer and may not be assigned, nor may the Property be sublet. Any assignment shall be absolutely null and void and constitute a breach of this Agreement such that Buyer shall, at Buyer’s option, have the right to terminate this Agreement. This Agreement may be executed in one or more counterparts, each of which shall be deemed an original, but all of which together shall constitute one and the same instrument. This Agreement may be transmitted electronically and the parties intend that electronically or facsimile transmitted signatures constitute original signatures and are binding on the parties. This Agreement is intended to supplement the real estate contract to memorialize the intent of the parties, and shall be considered legal and binding upon the Parties. The parties ratify and reaffirm the real estate contract and agree that in the event the Title is not transferred from Seller to Purchaser, this Agreement shall be deemed null and void and have no further effect. This Agreement shall survive closing.